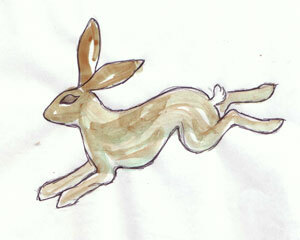 I've had a few ideas for more painted spinning wheels floating around in my head, based on folklore and nature. 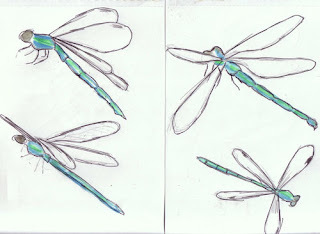 Here they are straight out of my sketchbook. I'd certainly appreciate feedback about your likes / dislikes. This one is damselflies. It seems that blues / greens look great on these painted wheels. The damselfly lends itself beautifully with its iridescent body. 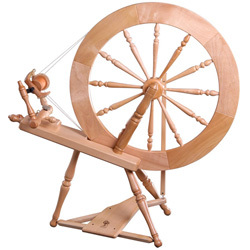 I can see eight different ones around the wheel, in random directions so it doesn't matter whether you're spinning or plying. 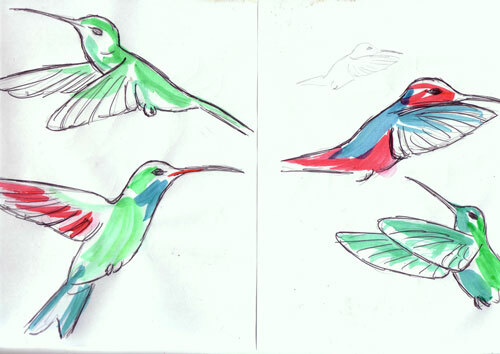 Hummingbirds lend themselves to blues greens, but with the addition of other colours as well. It would be possible to keep to a limited blue / green palette or get more adventurous with the colour. Again, random directions so it doesn't matter which way the wheel's going. What lovely sketches. I think the hummingbirds would look particularly nice on a wheel.